Liposuction is a medical procedure which removes excess fat deposits that haven’t responded to diet or exercise. This treatment improves body contours and proportion and can be performed on most areas of the body, including the face, neck, arms, back, abdomen, chest, and legs. You are qualified for fat removal if you have fat deposits that haven’t responded to diet or exercise. This procedure is suitable for patients who have good skin tone/elasticity and very minimal skin excess. If patients do not possess these characteristics, the skin may not contract properly after the procedure. Ideal candidates must also be in good health and be motivated to follow the pre-operative and post-operative instructions. Post-operative instructions include wearing a compression garment for several weeks. Realistic expectations for the procedure are also part of what makes an excellent liposuction patient. Your procedure does not remove stretch marks or excess skin and is not a substitute for a healthy diet or regular exercise. Patients frequently ask if their fat removal procedure will remove cellulite. While fat removal is not intended for this purpose specifically, Dr. Cangello will address this issue during your consultation. The dimpled appearance of skin is caused by tight bands under the surface of the tissue, which pull skin downwards. Fat removal can certainly minimize the general appearance of cellulite, but treatment does not affect the root cause of cellulite. Dr. Cangello is frequently asked is whether patients can choose a non-invasive form of fat removal such as Coolsculpting. The answer to this question is not simple and best discussed in a consultation. While we offer Coolsculpting in our office, we find that patients are most satisfied by surgical fat removal with liposuction. Your journey begins with a consultation at our Cangello Plastic Surgery. At this meeting, Dr. Cangello discusses your medical history and the results that you want from your procedure. For your surgery to proceed safely, you should be transparent about your allergies, medications, personal habits, and previous surgeries. He answers your questions and explains how to prepare for your upcoming appointment. Dr. Cangello also conducts a physical examination during consultations so he can assess how fat deposits will respond. Following the physical exam, Dr. Cangello explains how fat removal can improve the contour of your body. 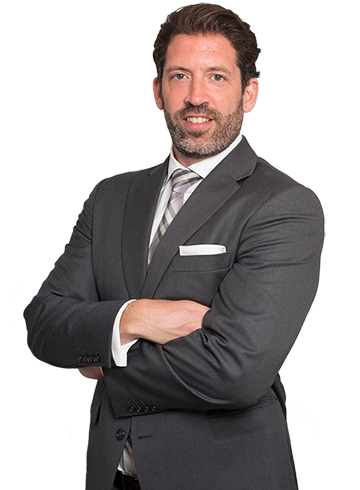 If necessary to meet your goals, Dr. Cangello can describe additional surgical solutions, such as a tummy tuck, that can be combined with your procedure. The key to a beautiful outcome is leaving enough fat in specific areas to create natural contours for your body. This is where the skill of an experienced, artistically inclined board certified plastic surgeon is essential. Dr. Cangello recommends a surgical plan to effectively create the physique you want. Our plastic surgeon and team are committed to achieving the best results possible. After your initial consultation, you will have a pre-operative plan to follow that is designed for your unique needs and to make sure you enjoy the best outcome possible. Your pre-op plan may include changes in diet and other habits that impact your health, such as smoking cessation. The days immediately before your surgery, you will be asked to discontinue the use of certain medications and supplements. You will also be told not to eat beginning at midnight on the day of your surgery if you are going to be put to sleep during your procedure. Prescriptions will be available to fill before surgery, and patients should coordinate a friend or loved one to help return them safely home and care for them for the first few days. Your procedure will be performed at Dr. Cangello’s New York City office. He has a fully accredited (AAASF) state-of-the-art operating room on-site. You are encouraged to ask for a tour of the operating facility when you come in for your consultation. Treatment generally takes two to three hours, depending on the number of areas targeted for fat removal. Liposuction can be performed using either general anesthesia, intravenous (IV) sedation (which patients often refer to as twilight) with local anesthesia, or local anesthesia alone can be applied. If IV sedation is used, you will not feel or be able to recall any portion of the procedure. If local anesthetic only is used, you will be awake for the entire appointment. You will feel some mild discomfort while the local anesthetic is infused into the fat but will not have to spend time recovering from a more advanced anesthetic. 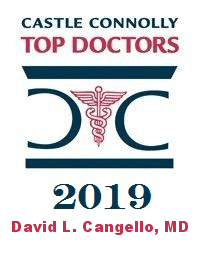 Dr. Cangello will recommend the best choice for you based on your amount of fat that you have to be removed. Once your anesthesia has been administered, Dr. Cangello begins the process by making a tiny incision in one of the treatment sites. Next, he will insert a cannula, which is a small, hollow tube, through the incision. Once the cannula is in place, a fluid consisting of saline, epinephrine, and lidocaine is injected to treat the fat. Lidocaine is an anesthetic, and epinephrine constricts the blood vessels, which prevents post-treatment bruising. The saline is used as a liquid carrier for the two medications described, and it helps loosen the fat to make it easier to remove. Dr. Cangello then uses the power-assisted technique to suction out the fluid and fat. It is not uncommon for patients to inquire about “Smart Lipo” (or laser-assisted fat removal), and Dr. Cangello has excellent experience with this technique as well; however he feels laser lipo offers no advantage over power assisted suction (there is no less downtime or bruising) and it only lengthens the overall time of the procedure. Further, with the power-assisted technique, Dr. Cangello is sculpting your body with each pass of the cannula back and forth as the fat is being removed. With laser-assisted liposuction, the fat is first melted and, in a second step, the liquefied fat is suctioned. Dr. Cangello does not feel that melting the fat as a first step allows for it to be sculpted as accurately or effectively this way. Once your procedure is complete, Dr. Cangello closes the incisions with tiny sutures and repeats this process for each area of your body discussed during your consultation. You will likely wake up wearing compression garments over the areas that were treated. At home, the incisions may leak some fluid; however, in Dr. Cangello’s experience, patients have minimal drainage. These areas may also be bruised, swollen, or sore. Dr. Cangello will prescribe pain medication to keep you comfortable. Wearing the compression garments is essential to controlling swelling and getting the results you desire. If treatment was performed on the abdomen, it is vital to avoid frequently bending over at the waist. You should try to keep your stomach as flat as possible so that horizontal folds (prominences) of skin are not formed during the healing process. Patients often ask how long the recovery process is and that depends on the amount of fat you have removed. Small volume liposuction cases have minimal downtime – usually not more than a few days to a week. But larger volume cases often have little pain and soreness and rarely require pain medicine more than two to three days. These patients can often be back to work (as long as strenuous activity is not performed) in a few days to a week at most. You will not lose weight immediately following fat removal. You may feel bloated for a few days due to the additional fluid inserted during the procedure. Patients are asked to avoid activity for three to five days. Stitches dissolve on their own and do not have to be removed. Most people can return to work after a week and resume normal activities after two weeks. The bruising, swelling and soreness will slowly get better over the next few weeks. However, it may take up to three months before you see the final results. Please call our New York City office at (212) 644-4416 to set up a consultation about how you can benefit from liposuction.